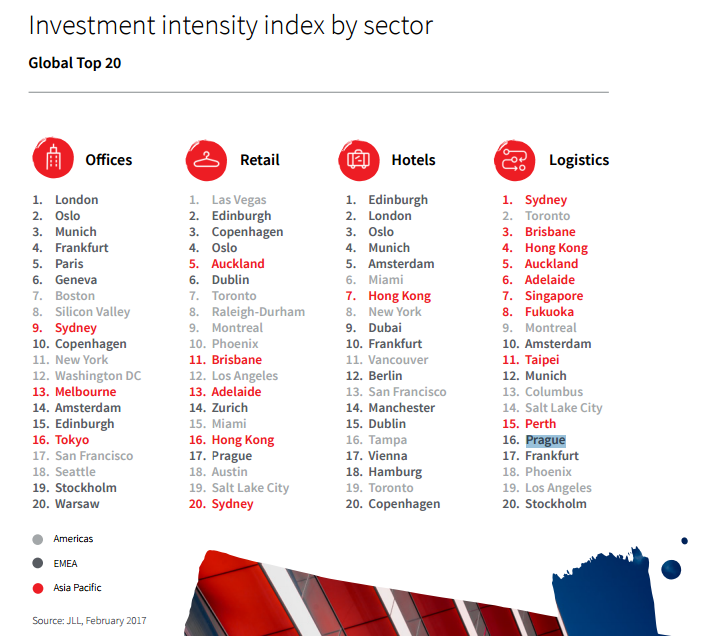 As for the construction industry, while there are now more cities than ever on investors’ radars, there are still no ‘Emerging World Cities’ in JLL Investment Intensity Index Top 30, with investors continuing to focus overwhelmingly on mature cities in transparent markets. Despite being among the world’s most rapidly globalising cities and acting as gateways for international firms, trade and investment into major emerging economies, combined ‘Emerging World Cities’ still account for only 6% of global volumes. 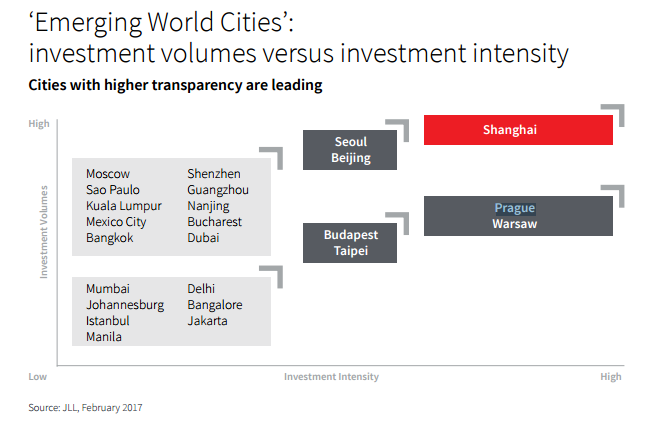 Top ranking ‘Emerging World Cities’ in investment intensity comprise transitional markets that have attained a reasonable level of transparency such as Warsaw, Prague, Budapest and Taipei, while Seoul, a hybrid city, saw investment volumes double in 2016. Both Warsaw and Prague have achieved a Top 12 position in cross-border investment intensity. An examination of foreign direct investment (FDI) activity into construction of commercial real estate points to future stock growth, with cities such as Ho Chi Minh City, Kuala Lumpur and Riyadh attracting the greatest amount of investment into construction, ahead of ‘Established World Cities’ like London, New York and Paris. 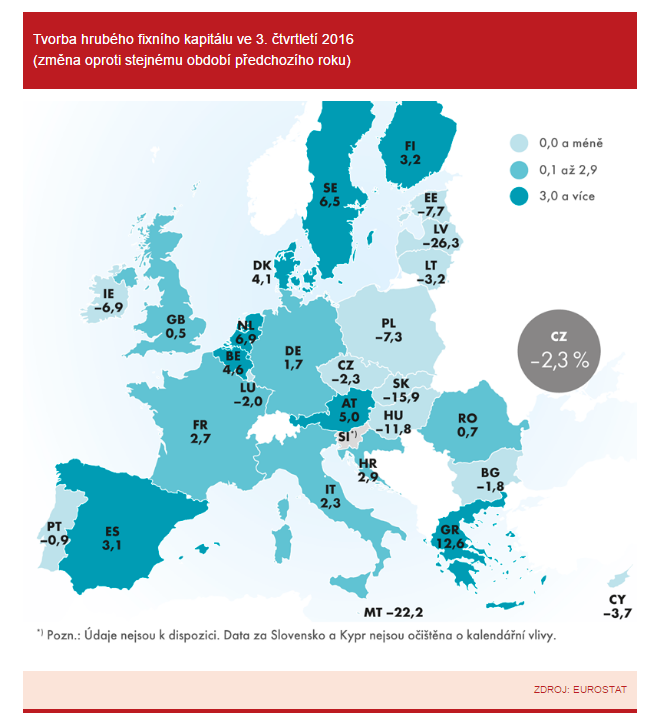 In terms of FDI intensity (FDI investment as a proportion of city GDP), they are joined by Casablanca, Warsaw, Bucharest and Prague among the Top 10. Despite the high proportion of portfolio deals in Europe that are not registered by a specific city – 38% of all logistics deals in Europe over the last three years were platform or portfolio transactions covering more than one city, against 9% in Asia Pacific and 13% in the Americas – several cities from the region make the Top 20, including Amsterdam, Munich, Prague, Frankfurt and Stockholm. The Czech Statistical Office announced lower investment activity (year-on-year change of gross fixed capital formation) in the 3rd quarter of 2016. 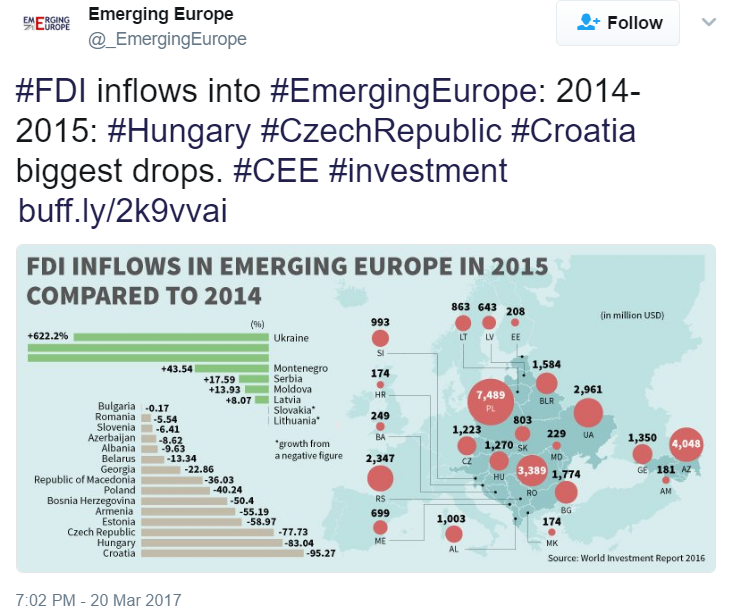 Emerging Europe portal added their overview of FDI in the CEE region.